Choose great projects. Do not limit yourself to only taking on big budget or high profile projects. Choose work that excites you, and even scares you a little. A project that ignites your creativity and makes you want to explore and learn more will have a bigger payoff than going after dollars or “star value” alone. Prepare for your role. Oscar winning actors do not rely on innate ability. They show up to a set ready for the job at hand. They may do background research to understand characters or time periods. They not only learn their lines but practice the best way to deliver them. With every project, seek to deepen your craft. Do not rely on a template formula but personalize the approach to the problem. Bring your best each and every time. Commit to the work. Matthew McConaughey completely transformed his appearance for his role in Dallas Buyers Club. Don’t just accept a project but commit to it. Be willing to dig deep into your toolbox of skills to make it a success. You may be the agency of record or a subcontractor. Whatever your part, dedicate yourself completely to doing your best work. Do another take. Even the best actors don’t always nail a scene in one take. If you flub a line or make a mistake, adjust and do it again. Give yourself enough time in a project to do a full dress rehearsal before the performance so that you have time to do another take if necessary. Surround yourself with a great cast. If you are an independent business owner, you may feel like Sandra Bullock in Gravity. While Bullock seemingly carried the film alone, she did not write the script, direct the movie or provide all the support it takes to make a film. Your cast may include a family that supports your independent business, employees who excel in their jobs or consultants who help you to stay focused on doing the work. Surround yourself with the right people and you will shine. 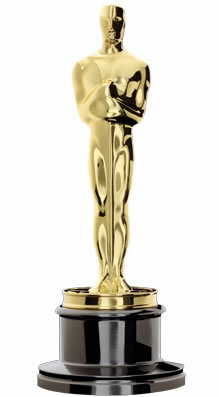 …and the award goes to…No actor knows which role will bring them an Oscar. The only certainty is what you bring to the role. To have an Oscar worthy performance we need to do more than simply show up. Some projects require us to step outside of our comfort zone. Others may require a few extra hours. We may have to make sacrifices in the short term in order to give the work our best. When the work is done the academy may not thank you but your clients will know that they got their money’s worth for the price of admission. How do you make sure you’re turning in an award winning performance? Share your tips and insights in the comments below!